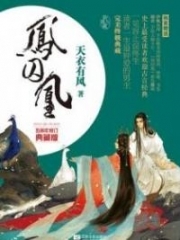 You’re reading novel Chaotic Sword God Chapter 963: Dealing With Zhou Yunzi And Zhou Tianzi online at LightNovelFree.com. Please use the follow button to get notification about the latest chapter next time when you visit LightNovelFree.com. Use F11 button to read novel in full-screen(PC only). Drop by anytime you want to read free – fast – latest novel. It’s great if you could leave a comment, share your opinion about the new chapters, new novel with others on the internet. We’ll do our best to bring you the finest, latest novel everyday. Enjoy! All the experts from the Turtle clan and the Taihong clan were secretly surprised when they heard that Jian Chen wanted these three unknown old men to help them out. Everyone could not help but attempt to sense their strength, but none of them believed that the three old men were actually all of the 16th Star. Among all of them, only Tai Dou vaguely sensed the strength of the three disciplinary elders as he was the only one at the Fifth Heavenly Layer. He was only slightly weaker than the three elders. Tai Dou could vaguely feel a slight pressure from the three people, which shocked him greatly. He struggled to understand where the ruler of the clan had found these three terrifying experts. “What do you want the three of us to do?” Disciplinary elder Xin Pian asked as usual. “Yes, ruler!” Tai Dou was excited. With the help of the three elders that were stronger than him, they now possessed strength far greater than the opponent. This filled him with confidence. “This time, I will definitely teach them a solid lesson and pay them back for the humiliation,” Tai Dou swore secretly. 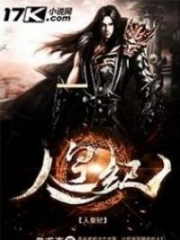 Lan Jing, Xin Pian, and Mochas left the Turtle clan with a group of experts under Tai Dou’s lead, making their way toward the opponent’s clan in a threatening manner. Jian Chen did not re-enter the artifact s.p.a.ce after their departure. Instead, he arrived at a beautiful mountain toward the back of the clan with two attendants. In the end, he stopped before a huge grave mound by a lake. The mound was extremely large and possessed a vast presence. It was a hundred meters wide and thirty meters tall, while a three-hundred-meters tall gravestone stood before it. On it were the carved words: ‘Grave of the Grand Elder’. This was where the grand elder of the Turtle clan had been laid to rest. Jian Chen also became heavy-hearted after coming here. He stood before the gravestone and stared at the words in a daze. In his daze, he felt like he saw the grand elder’s hunchbacked stature, his benevolent and concerning face. It was as if the grand elder was smiling at him, speaking to him silently. The grand elder seemed grateful. “Grand elder…” Jian Chen subconsciously mumbled, while his face was filled with pain. Back then, the grand elder of the Turtle clan had died to save him. He had turned into his true form and trapped Zhou Tianzi, Zhou Yunzi, and Li Fengxing into his sh.e.l.l, resisting the fierce attacks from these three great experts. In the end, the Tian Level Saint Techniques from Zhou Tianzi and Zhou Yunzi had wiped out his soul, shattering his sh.e.l.l into countless pieces where even his corpse no longer existed as a whole. He had suffered such a miserable death where even Cla.s.s 7 Radiant Saint Masters could not revive him. If it were not for the grand elder who sacrificed himself to keep the three experts busy, Jian Chen would not have been able to survive until the arrival of elder Hong. After all, he possessed no strength to resist when he was first hunted down by the three of them. The sacrifice of the grand elder had touched Jian Chen deeply, striking grat.i.tude deep into Jian Chen’s heart. Other than grat.i.tude, Jian Chen also felt ashamed of himself and deep self-blame. The grand elder was dead now, but Jian Chen had completely repaid the grand elder’s grat.i.tude and had erased his self-shame. He could still clearly remember that the will of the grand elder had lingered and failed to disperse even after his death. It was fixated on the future of the Turtle clan, while Jian Chen would complete the grand elder’s final wishes—reviving the Turtle clan and returning it to glory. That way, he could repay the grand elder’s kindness and allow his spirit to finally rest properly. Jian Chen stood absent-mindedly before the huge gravestone, forgetting any sense of time. The two attendants that had followed him here stood silently, afraid that they would disturb the esteemed ruler that they admired. A violent gust of wind blew past, causing Jian Chen’s long, white robes and hair to ruffle in the breeze. Unknowingly, he had already spent several days standing there. “Send my order for all the clansmen and elders to gather here,” Jian Chen’s cold voice rang out. “As the ruler wishes!” The expert replied courteously, before disappearing like the wind. A deep horn rang out from the tribe far away after a short while. A great group of people hurried toward the mountain with the elders in the lead. They traveled very quickly and soon arrived before the grave of the grand elder. “We greet the ruler!” All the people knelt on one knee and called out with a deafening voice. They all moved in sync without any disorder. Jian Chen’s prestige in the Turtle clan was becoming greater and greater, now receiving the respect of everyone. Not only did the status and power of the clan increase greatly since his arrival, they were even slowly taking back their former mines. All the members of the clan believed that the time where they would return to glory had come. Jian Chen released the tied-up Zhou Tianzi and Zhou Yunzi from the Octoterra Divine Hall. As their powers had been sealed up by the hall elders of the Heaven’s Spirit Hall, they were like ordinary people with no power to resist at all. “Jian Chen, why don’t you hurry up and release us? We’ll show you what we’re made of after we break free ourselves if you don’t!” The two of them immediately began to yell at Jian Chen as soon as they appeared. Zhou Tianzi and Zhou Yunzi’s expressions changed slightly. They glanced past the huge gravestone and their faces immediately sank. The grand elder had been slain by the Tian Level Saint Techniques they had cast, so they immediately had a general sense of what Jian Chen wanted to do by bringing them him there. “Jian Chen, what exactly do you want to do to us?” Zhou Tianzi growled. “Don’t you dare, Jian Chen!” The expressions of Zhou Tianzi and Zhou Yunzi changed drastically, but they continued to glare at Jian Chen. Jian Chen did not listen to the two of them anymore, turning around to the kneeling members of the Turtle clan. “Everyone, these two people were the ones who killed the grand elder all those years ago. They are both 16th Star experts. Today, I shall slaughter the two of them before all of you, to take revenge for the grand elder.” Jian Chen was basically yelling out hoa.r.s.ely toward the end. All of them immediately began to call out loudly, staring at the twins in hatred. Both of their expressions changed once again. Although they were both Fifth Heavenly Layer Saint Kings, their strength had been sealed up through a secret technique from the hall elders, causing them to become as fragile as ordinary people. They had no ability to flee at all under such circ.u.mstances. Jian Chen looked at the two of them sarcastically, while the Emperor Armament had already appeared in his hand. He sneered, “I never thought that two of the eight great human experts would have a time where they bow down. But you’re the murderers of the grand elder. I won’t let you off no matter what you say.” Jian Chen slowly raised the Emperor Armament and it immediately began to s.h.i.+ne with a blinding dark light. The coldness in Jian Chen’s eyes deepened, but he was not swayed by their words. He suddenly stabbed out with the Emperor Armament, impaling the foreheads of Zhou Tianzi and Zhou Yunzi, and wiping out their souls. The twins’ voices stopped, while a mixture of red and white liquids poured from the wounds. In the end, they collapsed in their own pool of blood, dying on the spot. This was how two Fifth Heavenly Layer Saint Kings were killed off on a mountain. With their deaths, the eight great human experts of the sea realm became six. Immediately, someone ran up to the two of them and created another wound on their bodies. He let the blood flow from their bodies, dying the area before the grand elder’s gravestone red. 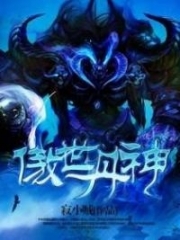 You're reading novel Chaotic Sword God Chapter 963: Dealing With Zhou Yunzi And Zhou Tianzi online at LightNovelFree.com. You can use the follow function to bookmark your favorite novel ( Only for registered users ). If you find any errors ( broken links, can't load photos, etc.. ), Please let us know so we can fix it as soon as possible. And when you start a conversation or debate about a certain topic with other people, please do not offend them just because you don't like their opinions. You're reading Chaotic Sword God Chapter 963: Dealing With Zhou Yunzi And Zhou Tianzi. This novel has been translated by Updating. 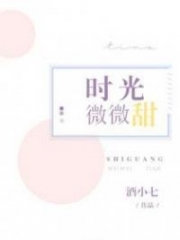 Author: Xin Xing Xiao Yao already has 7366 views. Current Time is Apr-18-2019 19:27:32 PM.